Mangal Singh is a renowned Play Back Singer from the Bollywood film industry. He is recognised globally and in the UK for his songs Rail Gaddi and Kali Teri Choti from the film Bahaar Aane Tak. He was born on the 30th January 1953 in Kapurthala, Punjab, India and started his singing career at the age of 5. In 1980 he won the best singer award for a Mohammed Rafi competition where he sang the immortal sartaj geet Duniya Ke Rakhwale. Mangal has also won Best Vocalist in the UK 3 times and has collaborated with many international projects & artists. He was the lead singer in the UK based band Chirag Pehchan (one of the best ever bands to emerge from the UK). Chirag Pehchan went on to record numerous Punjabi albums which were massive hits. Mangal's albums included Nach Pae Sur (1985), Rail Gaddi (1987) and Dekho Dekho (1989). His first big break in Bollywood came in 1990 from the music director Rajesh Roshan for the film Bahar Aane Tak with the super hit song Kali Teri Choti. He then went on to sing for many actors in hit movies such as Jeetendra's Nyay Anyay (1990) and Sone Ki Lanka (1992); Madhuri Dixit's Sailaab (1990); Raj Babbar's Yeh Hai Ghar Ki Mahabharata (1992) and Swarg Yahan Narak Yahan (1991); Anil Kapoor's Heer Ranjha (1992) in which he worked with the legends Laxmikant Pyarelal and Anand Bakshi to produced a hit Duniya Ne Mera; Amitabh Bachcahn's Insaniyat (1994), Dharmendra's Maha Shaktishaali (1994), Sunny Deol's Vishnu-Devaa (1991), Izzat Ki Roti (1993) and Kasam (2001); Salman Khan's Suryavanshi (1992), Andaz Apna Apna (1994), Veergati (1995), and Itihaas (1997); Govinda's Zakhmo Ka Hisaab (1993) and Rani Mukerjee's first movie Raja Ki Aayegi Baraat (1996). In 1995 Mangal was the talk of Mumbai for his high pitched voice in the song Uth Ve Dila from the film Karmon Ki Sazaa. 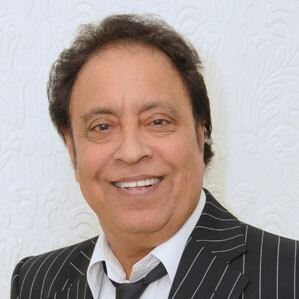 Mangal's Punjabi album repertoire includes the super hit Jaandi (2002) by DJ Vix, Mere Dil Ne Kaha Tha (1989), Kurti Malmal Di (1989), Teriyan Mohabbataan (1989), Laal Ghagri (1991) and Haye-Oye, Rail Gaddi 2, Rising From The Punjab (2005), and films such as Yaari Jatt Di (1984), Jatt Soormey (1989), Khalsa Mero Roop Hai Khaas (2000) and Mitter Pyare Nu Haal Mureedan Da Kehna (2004). Recently under "Revive Entertainments" he has performed the Mohammed Rafi songs for a Rahul Dev Burban Tribute Concert and two Mohammed Rafi Tribute Concerts. Mangal is exclusively availiable at Asian Entertainments to sing hindi or punjabi at all types of functions from weddings to stage shows both individually or with a full band and his performance can be tailored to suit individual requirements.